From an early start in 1994, Banyan Tree Hotels & Resorts has grown into one of Asia’s most successful hospitality brands with numerous international awards and accolades from publications like the prestigious Condé Nast Traveler and others. It is constantly being voted as Best Spa Brand by organizations all over the world, the latest of which includes the 11th DestinAsian Readers’ Choice Awards 2016 (4th consecutive year) and the 2016 Hurun Best of the Best Awards (10th consecutive year). Banyan Tree is one of the most ambitious and iconic chains of up-market luxury hotels, resorts and spas. By successfully blending its environmental concern with the unique Asian traditions and heritage and the concept of individual luxury villas offering an intimate experience, Banyan Tree has emerged as one of the leaders in the hospitality industry. Branding has been part of the strategy from the early start, and was born out of a necessity to differentiate a traditional overseas Chinese family business. Banyan Tree and its founders wanted to escape the price competition from cheaper market players from Indonesia and China on one hand, and to take the focus away from tough pricing on the other. These have been the typical challenges for many Asian businesses trying to compete in the new environment and building competitive advantages. It proved to be a successful way of breaking away from an Asian commodity business and changed the focus onto higher value-added revenues. The brand is led by a centralized team headed by corporate management and its promise illustrated in the tagline “Sanctuary for the Senses” is delivered throughout the organization as part of a dedicated business strategy centred on branding. The Banyan Tree Company manages more than 5,000 rooms across its 37 resorts and hotels, 68 spas, and 81 retail galleries and three championship golf courses in 14 countries. Its corporate headquarters is based in Singapore and is traded publicly on the Singapore Stock Exchange (SGX). Banyan Tree also manages and/or owns interests in hotels and resorts. Banyan Tree employs more than 12,000 people representing more than 50 nationalities across the global operations. The company is a good example of the importance of corporate management’s involvement in investing, building and driving the brand and all the related branding activities. The idea of Banyan Tree was conceptualised when Ho Kwon Ping and his wife Claire Chiang were staying at Banyan Tree Bay, also known as Yung Shue Wan, a small fishing village on Lamma Island in Hong Kong. As a young couple, they enjoyed island living and the idea of having a private sanctuary and believed this was what their peers coveted. When his father fell ill, Ho Kwon Ping, then a journalist, had to return to Singapore. As the eldest son, he took on the responsibility of the family business and ran it as is often expected in Asian business families. He wanted to take his father’s family-run business, Wah Chang Group, ahead and away from the traditional revenue streams into different areas spanning from property to manufacturing. The business was under pressure, competed primarily on cost, and was not dominant in any particular industry or market. He thus ventured into the oil rig business on a large scale. Unfortunately an oil glut in 1981 nearly bankrupted the business. Even though, he worked hard to bring in contracts and made back the losses, Ho Kwon Ping realized through this experience that he needed to create his own path and build his own brand. In 1994, the couple opened the first Banyan Tree resort in Phuket, Thailand, with Ho Kwon Ping’s brother Ho Kwon Cjan as the architect. Upon purchase of an old abandoned tin mine that was polluted, the founders decided to cleanse the acid-laden soil by planting more than 7,000 trees. By doing so, they transformed the ecological wasteland into the environmentally sensitive first Banyan Tree resort. Similar to how the banyan tree provided shelter to weary travelers in the olden days, the founders decided to name the resort Banyan Tree as a symbol of the relief and comfort provided by its natural properties, and of rest and relaxation to the world-weary. There they pioneered the trademark pool villa concept, which has become one of the signatures of the brand. Today, the private pool villa concept has proliferated to other resort groups and is used as a benchmark in the hospitality industry. The Banyan Tree Phuket was very successful upon launch so the brand owners decided to launch two others resorts at Bintan Island, Indonesia, and at Vabbinfaru Island in the Maldives soon after. Ho Kwon Ping was born in Hong Kong in 1952 although his father, Ho Rih Hwa, a businessman and diplomat, was born in Singapore. Kwon Ping grew up and studied in Thailand. He went on to Tunghai University in Taiwan where the exposure to Chinese culture left a deep impact on him. After a year in Taiwan, he left for Stanford University in the United States. After returning to Singapore, he did his national service as a combat engineer. He later studied at the National University of Singapore. He joined the family business in 1981. In 1994, after the success of rehabilitating an abandoned tin mine in Laguna Phuket, Asia’s first integrated resort, he launched Banyan Tree Hotels & Resorts. Ho Kwon Ping was named to the board of Diageo, a British multinational, in 2012 as Non-Executive Director. He has been chairman of Singapore Management University (SMU) since 2000, and has served on the board of Singapore Airlines, Singapore Tourism Board, Standard Chartered, Moelis & Company, MediaCorp and Singapore Power. Ho Kwon Ping has received numerous awards over the years. He is married to entrepreneur and former Nominated Member of Parliament, Claire Chiang, who is currently Senior Vice President of Banyan Tree Holdings. They have three children – two sons and a daughter. Banyan Tree: How was the brand established? Ho Kwon Ping said in an early interview about the creation of Banyan Tree and his philosophy about branding: “There are only two advantages in life which are proprietary: technology and branding. Since I am not a technologist, I decided that whatever business I was going to do next had to have a strong brand”. Given the inevitable turmoil of the volatile hospitality industry, Ho Kwon Ping was convinced from the beginning that a strong focus on branding would give Banyan Tree a sustainable competitive advantage. This was proved right as Banyan Tree withstood the repeated crises of 1997/98, the events of September 11 and the Iraq War to name a few critical events for the entire hospitality industry. During the SARS outbreak in Asia in 2003, the company still emerged profitable by achieving average occupancy rates of 65-67%. The company has based its brand on the two main beliefs of the organization. Banyan Tree resorts would become a “romantic escape” and Banyan Tree would be an environmentally sensitive and a socially responsible organization. These underlying themes have driven all the branding activities of Banyan Tree. Branding has started right from the locations of the Banyan Tree resorts and has been consistent through the designs, the facilities offered, and the ambience created in each of the resorts. In line with the “romantic escape” theme, Banyan Tree has placed a strong emphasis on the locations as a key element of the brand identity. The company has chosen exquisite locations, exciting environment around and a good transportation infrastructure to connect the resorts to the main destination highlights. The resorts offer a unique experience for the visitors by providing them a luxury experience complete with self-indulging and pampering experiences like the Banyan Tree Spas which offer traditional treatments and fresh ingredients. The company operates a training academy in Phuket where all spa therapists must go through the compulsory 400 hours of training, which is above the industry standard. Banyan Tree believes in the value of the local heritage of a destination, so guests can find a Banyan Tree Gallery which exhibits and sells indigenous artifacts and handicrafts in every resort, in line with their belief of preserving Asian culture and heritage. This enables guests to extend the brand experience a little longer by taking home some products relating to the place where they have had memorable experiences. The company constantly cares to ensure that everything is in sync with the brand theme of romance, intimacy and rejuvenation. Banyan Tree has over 80 retail galleries worldwide. Ho Kwon Ping has stated that he intends to maintain the social responsibility standards practiced by Banyan Tree since its inception. He and his wife, Claire Chiang became interested in economic development and social activism as they both grew up during the Vietnam War years. According to Ho Kwon Ping, corporate social responsibility was an integrated part of the Banyan Tree group from the early start. He stated that: “Banyan Tree was also a vehicle for us, using business as a means to create something that we hope is beautiful and sustainable, but at the same time using business as a means to enable many of the deep-seated beliefs we have about sustainable development”. Ho Kwon Ping continued: “The core beliefs that inform the group’s sustainability policies, which range from building and running resorts with as little environmental damage as possible to conducting community development and environmental projects at each resort, are more fundamental to us than the notion of building a Banyan Tree. So there is no way we could possibly lose that”. Concern for the nature and environment surrounding the resorts has always been a trademark of Banyan Tree. Many environmentalists appreciate their efforts to nurture and protect the surroundings of their resorts. True to its belief that environmentally sustainable and socially responsible tourism is compatible with making profits, Banyan Tree has established the Green Imperative Fund mechanism and Banyan Tree Global Foundation to extend financial assistance to environment conservation and community projects. The Green Imperative Fund forms part of the Stay For Good program, which crowd sources micro-contributions from guests during their stay, with every dollar matched by Banyan Tree. Since the fund’s inception in 2001, the Green Imperative Fund has raised more than USD 7 million, disbursing over USD 4.1 million in support of worthy social and environmental efforts whereby the primary beneficiary is external to Banyan Tree. Banyan Tree has also taken a conscious decision to minimize damage to the natural environment when building new resorts. The company is building villas around trees and boulders rather than cutting or excavating them, and subjects resorts to certification to the leading design standard for sustainable tourism, EarthCheck. As the first hotel group to achieve accreditation by EarthCheck’s Responsible Meetings & Events Standard, Banyan Tree has launched its Meet for Good initiative in 2015 to support sustainable MICE services and products across its hotels and resorts. The company also engages in numerous projects such as the Sea Turtle Protection program and has built health clinics, schools, and temples for the communities in which their resorts are located. These actions have endeared Banyan Tree to the public and the media which often features the brand and its resorts. It has also taken a keen interest in providing support for young people’s education globally and sources most the materials required for its artifacts of Banyan Tree Gallery from the Asian cottage industries. When the Asian tsunami struck in December 2004, none of the properties were badly damaged from the disaster. As part of the continued efforts to provide assistance to the local community, Banyan Tree decided to focus on medium- and long-term relief efforts aimed at rebuilding shattered lives. To address these concerns, the company set up the Tsunami Recovery Fund working with the local authorities to determine the community needs. The staff voluntarily contributed 5% of their salaries to the recovery fund run by the company. Additionally, guests at the resorts could donate US$2 per room per night, which Banyan Tree matched. With the funds, the company purchased boats for fishermen and building material for use in construction of houses and schools. Banyan Tree has also created the “Greening Communities Together around World Environment Day”. During the first week of June every year, all their hotels around the world commit to plant two trees per room night as a gesture of environment conservation and habit protection. These June tree planting efforts are in addition to Banyan Tree’s Greening Communities initiative, which has challenged resorts to plant 2,000 trees per year since 2007 (and planted over 300,000 trees) in order to raise local awareness for climate change. “Feeding Communities Together around World Food Day” is run every year in the middle of October in all hotels and resorts around the world to support and empower communities through food. Banyan Tree has been very successful in creating a very strong personality around these core values. Delivering all that it promises and leading by example in social causes, Banyan Tree has built a brand with minimal advertising and other traditional brand building methods. The result is that Banyan Tree has established premium pricing power for its brand portfolio. Banyan Tree initially resorted to advertising to build awareness in the market, but the advertising budget was soon cut to save costs. In fact, the overall marketing budget of Banyan Tree has been 7% of the total revenue, with 60% allocated for trade and 40% allocated for consumer promotions. The entire brand communications strategy has been based on third party endorsements, word-of-mouth and public relations. In the early years, Banyan Tree used an international advertising agency to create their marketing communications. The agency designed the Banyan Tree logo and came up with the tagline “Sanctuary for the Senses” together with the Banyan Tree management team. Extensive advertising was used to gain initial recognition when the Banyan Tree brand was first launched. With its very first resort in Phuket, Banyan Tree won the coveted Ecotourism award for total environmental regeneration of Bang Tao Bay. This made the entire hospitality industry take notice of the new entrant as the United Nations had previously declared the former mining site impossible to rehabilitate. Banyan Tree did extensive rehabilitation work costing a total of USD 250 million. This was followed by a string of awards for the Best Beach Resort, Worlds Best Spa Resort, and many others from such reputed magazines and organizations like Condé Nast Travelers UK, TTG Awards, World Travel Awards, The Indonesia Travels and Tourism Awards, Best Resort in China, Best Resort Hotel in Asia Pacific, Tourism for Tomorrow Award (2012) and many others. Banyan Tree and its portfolio brands have won over 900 awards and accolades since the company was established in 1994. This generated lot of awareness and curiosity in the industry. Banyan Tree also uses public relations as an important brand building strategy, and the company invites editors and writers of prestigious travel and leisure magazines to visit the resorts. Banyan Tree makes sure that high-quality photo shoots are ready for use by media, which ensures the resorts are portrayed in line with the brand promise. In addition, Banyan Tree has an in-house publication that is released biannually titled “Under the Banyan Tree”. An interesting and engaging read, it features stories on amazing journeys and unique experiences for guests to relax, reflect and be inspired for their next travel adventure. Editorial coverage combined with word-of-mouth recommendations from customers and co-branding activities with strategic partners have since the launch of the company served as the major channels for brand communications. The media coverage has helped build the Banyan Tree brand portfolio’s international awareness and credibility, and the overall brand equity of Banyan Tree. The strong belief in branding by Banyan Tree’s corporate management has started to pay off, and the Banyan Tree brand equity has enabled new revenue streams for the organization. Following its successful opening of the Banyan Tree resort in Phuket in 1994, the company decided to distinctively brand its Spa and Gallery experiences, as Banyan Tree Spa and Banyan Tree Gallery respectively. Today, almost every Banyan Tree property includes a Spa. Leveraging its strong brand equity, Banyan Tree extended the brand to launch Angsana in 2000, Cassia in 2014 and Dhawa in 2015. Angsana: A contemporary destination playground designed to bring back the adventure into travel whatever one’s age, Angsana operates 14 resorts in 9 countries (as of January 2018). It also operates stand-alone Angsana Spas. With the backing of the Banyan Tree brand and its strong recognition in the leisure industry, Angsana has been well received around the world. In 2003, Banyan Tree made a line extension and opened Colours of Angsana, a sister chain of resorts under the Angsana brand. The hotels were launched in more remote areas of the world including UNESCO’s World Heritage sites, and located in off-the-beaten track destinations like Laos, Sri Lanka and China. The brand was later discontinued and wrapped under the Angsana brand. Cassia: In June 2014, Banyan Tree announced the launch of their new brand, Cassia, focusing on a new market for the company. Banyan Tree had identified a niche in the hospitality market which they wanted to explore through their expertise in management, design and innovation to create a new proposition in the serviced apartment industry. The new venture brings the Banyan Tree portfolio to three unique brands. Cassia was created to bring together investment opportunities for the growing middle-class looking for affordable holiday homes as well as the opportunity to develop an innovative hotel product in the serviced apartment segment. Each Cassia is designed with one or two-bedroom units that provide owners with a home away from home experience, targeting young families, couples and groups of friends. Owners of Cassia properties have the option to stay at the property for a certain number of days a year and then lease them out for the rest of the year as serviced apartments under Banyan Tree’s management. Ho Kwon Ping, Executive Chairman, Banyan Tree Group, said at the launch: “The extended stay segment has been overlooked in recent years so we took the opportunity to innovate and create a hospitality product that meets the demands and needs of today’s travelers”. He continued: “With affordable price points, proximity to existing Group properties as well as lower operating costing via a unique service model, Cassia offers potential for strong yields and returns. It also enables owners to stay in their own property as well as enjoy additional lifestyle benefits”. Banyan Tree has two Cassia properties in Phuket (Thailand) and Bintan (Indonesia), and five Cassia projects in development in Phuket (Thailand), Bintan (Indonesia), Beruwala (Sri Lanka), Gold Coast (Australia) and Lijiang (China). A further seven Cassia projects are planned in New York (USA), Gold Coast (Australia), Brisbane (Australia), Japan, Seychelles, Chiang Mai and Bangkok (Thailand) and Lang Co (Vietnam). These measures not only allow Banyan Tree to increase its awareness in new markets and gain international momentum, but also create a strong platform for a portfolio of sub-brands that can be a source of long-term revenue generation. Dhawa: In 2015, Banyan Tree launched its fourth brand, Dhawa, a casual and contemporary full-service hotel targeting middle-class travellers. It focuses on providing a personable and individual experience for guests. With quirky room designs, the hotel provides guests numerous options to customize room settings to their preferences. For example, guests can use their e-concierge to order any food and beverage or additional pillows, select from various bathroom mood lightings, and connect their devices to play their individual music playlist on the Bluetooth speakers. The Dhawa brand experience currently manifests itself in two properties – Cayo Santa Maria in Cuba, and Jinshanling Great Wall in China. It currently has two properties in development in Bo’Ao and Guiyang in China. The future strategy of the Banyan Tree Group is described as “to string a necklace of resorts around the world”. It’s not about being everywhere, but having a presence in chosen places. “It is not about quantity but building quality jewels that form a chain”, according to executive chairman Ho Kwon Ping. The company plans to expand the brand across new regions to create a truly global brand. Banyan Tree also has extensive plans for China, which is expected to be a huge growth market due to booming domestic travel patterns and rising new affluent consumer groups seeking status and luxury experiences as well as the enormous inbound tourism market. Since 2011, it has aggressively expanded across China and currently operates 11 destinations including Shanghai, Ringha, Lijiang and Sanya. The company focuses on growing the business through new management agreements and selective hotel and resort investment. With its vertically integrated business model, it takes development from greenfield to completion through wholly owned subsidiaries Architrave (design), GPS (project management) and Banyan Tree Hotels & Resorts (management). The international strategy is also part of having more diverse revenue streams from separate regions and markets of the world. The leisure industry is volatile and Banyan Tree is hedging against unexpected events and cyclical economies by having hotel resorts in different locations. Banyan Tree will continue to provide its unique blend of romance, rejuvenation and sensuality in multiple destinations across the globe as the lifestyle hospitality group expands further into the Middle East, Central America, Europe and Africa. Distinctively Asian versus developing a global image: As Banyan Tree has already expanded way beyond Asia where it started, the company faces the typical dilemma of any Asian brand to find a balance between being distinctively Asian and developing a more globally-oriented image. Though the entire brand is based on the unique Asian touch and cultural heritage, Banyan Tree has to constantly evaluate its relevance and sustainability carefully as it enters new territories. Generally, the Asian touch and feel that Banyan Tree provides to its customers is deemed both exotic and distinct in their properties outside Asia. It can localize its offerings to suit the local tastes and environments better, but Banyan Tree should be sensible about the extent of localization. If Banyan Tree were to keep localizing its offerings, especially in Western markets, it might ultimately affect its core brand identity and drain it of its main differentiating factor – the unique Asian heritage. Consequences of brand extensions: The Banyan Tree brand portfolio has increased comprising different business lines, target groups and price segments. This is a challenge which goes to the very foundation of the company – management of the brand and allocation of resources. Though Angsana has a lower price point and is targeted primarily towards family guests, these resorts still have much of the typical Banyan Tree feel. The challenge is to balance two distinct brands and differentiate them without diluting the leading brand Banyan Tree in particular. With the on-going company expansion, there will be a resource allocation trade-off sometime in the future. The centralized marketing and branding team is overseeing resorts in different parts of the world, so successful management of the brand portfolio would be extremely challenging and requires stringent procedures and decisions for each of the brands in order to stay in touch with market dynamics. Keep innovating and avoid copycats: The market is crowded with many entrants running similar branded resorts in the upper-end. Particularly in Asia Pacific, where Banyan Tree has its stronghold and traditional base, new entrants are facing only small barriers-of-entry other than huge capital requirements and availability of good locations. Something Asia is not short of. A new entrant can always try to copy the “romance-intimacy-rejuvenation” theme and replicate the serene locations with beautiful villas providing it at lower prices to gain foothold in the market. At the moment, Banyan Tree’s closest competitors include the likes of Club Med and Anantara. Club Med is a hospitality brand also focusing on providing a luxury holiday, but with a brand position slightly different from Banyan Tree as it focuses more on providing guests with fun-filled activities like archery, golf and excursions. Another luxury hospitality brand, Anantara focuses on connecting guests with the indigenous through personal experiences and genuine hospitality. Therefore, Banyan Tree needs to keep innovating and exceeding customer expectations while staying true to its brand promise of providing a “Sanctuary for the Senses”. This requires substantial resources, management focus, and control of the brand portfolio to stay relevant and competitive. By combining the Asian culture and heritage with world-class service and luxury, Banyan Tree has been able to build a brand that has appealed to people across countries in Asia and beyond, and successfully been capitalizing on the pan-Asian sentiment. Banyan Tree has successfully demonstrated that strong Asian brands can be created and sustained on a global basis. 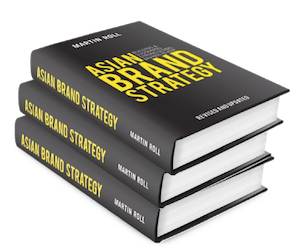 It is indeed a leading business case from Asia demonstrating the importance of strategic branding.